So I’m finally updating my blog. It’s partly been due to being busy and partly due to being lazy. A confusing mixture but I can’t claim to have that much of an exciting life. I’ve recently been to see the Legally Blonde tour which I was looking forward to a lot having missed it during its run in London. Most of the main cast were performing, apart from Jennifer Ellison as she’d recently had a family bereavement so Rhona McGregor played the role of Paulette instead. Gareth Gates had recently come on board as Warner - A clearly popular casting decision with the audience. As you may know, I don’t particularly like stunt casting but I was okay with this. I’ve heard Gareth Gates singing as Marius and he’s not half bad. My problem was more with the audience reaction of whooping the second he walked on stage – not cheering for a good performance just cheering because of who he is. This is a natural phenomenon surrounding stunt casting as it’s designed to pull in fans of the celebrity. It was a minor annoyance with this show, though, since Legally Blonde is really just a bit of feel good fun with a good moral message running through the heart of it. I was a little disappointed with Gareth Gates’s performance, though, his movement was very wooden and mechanical and I could tell he was playing a part rather than becoming the character – this distinction really does make a huge difference. 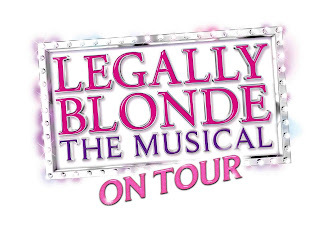 Faye Brookes takes on the role of Elle in this production; The fun loving blonde who throws herself into a law degree for the sake of love only to discover something more within herself and teaches those around her that you don’t have to be what everyone expects. Faye takes us through this transformation with her character easily depicting the various emotions she journeys through well. Her onstage chemistry with Warner is okay, more to the fault of Gareth than her, but brilliant with the other leading man, Emmett played by Iwan Lewis. I really liked Iwan Lewis’s take on Emmett. It was different to what I was expecting – he seemed younger and less self assured than the way Luke Wilson portrays him in the film but I think this works better; his vulnerability makes for a more interesting development of his character too. At the beginning it’s like he’s trying to act like a professional lawyer and mentor but somewhat falling short of the mark, but by the end he and Elle have helped each other become confident and ready to take on the world. Andy Mace as Professor Callahan was suitably vile and sleazy with an edge of unforgiving relentlessness and Rhona McGregor really stepped up to the mark with her portrayal of Paulette providing the emotional support Elle needs to get her through the challenges she faces whilst also showing her own need for emotional support effectively. The sorority sisters/ greek chorus do wonders for lifting the mood at various points throughout the show and provide a lot of energy that gets you dancing in your seat. And talking of energy, Hannah Grover must have it in bucket loads for ‘whipped into shape’ I was exhausted watching it, but that effort translates into one of my favourite dance scenes with the skipping rope action... and she has an amazingly flat, toned stomach. I also have to mention the dogs – how could I not? They get a better audience reaction that Gareth Gates even. They’re well trained and really are scene stealers.... and so cute. I defy you not to go ‘awwwwww’ when they come on stage. On the technical side there’s one major gripe that I often have with the WMC and that’s SOUND. I especially can’t forgive them for problems as they’ve designed the whole theatre around good acoustics – the chairs have holes in the bottom so if there’s no one sitting in the seat the vibrations pass through as if there was. Come on guys. If you put this much effort in, make sure it’s something you CAN boast about but something is going wrong somewhere. Every time I go there are problems with words getting lost under the weight of the orchestra; it’s about balancing not volume. It wasn’t so bad for me because I’ve listened to the soundtrack many times and know the lyrics to fill in the blanks but the friends I was with had never heard it before so didn’t know what was going on. I originally booked a captioned performance by mistake, then changed it. Now I kind of wish I’d stuck with it so they knew what the performers were saying. Don’t get me wrong – it’s not all the time but during ‘Omigod You Guys’ I could barely make out one word from the sorority girls! This is the venue’s fault not the fault of the girls though. The set was quite simple. A lighted border frames the stage and is moved either stage left, stage right or uses the whole area to create a sense of location as well as a few flown in set pieces and prop items. I’m not really a fan of dividing the stage into sections but I’ll let it go as it didn’t detract from the overall quality of the show. My friend didn’t like the costumes much. I thought they were alright; nothing that blew me away. I liked Elle’s clothes most of the time, apart from the one she wears to the dinner when she’s expecting Warner to propose – after she makes such a fuss to buy the perfect dress the floral almost casual looking number she ends up with is quite a disappointment. Another friend thought that some of the songs were pointless but I can’t agree with that point of view at all. Looking through the list they all have their point and purpose to the story and move it forward and help us understand the characters better. 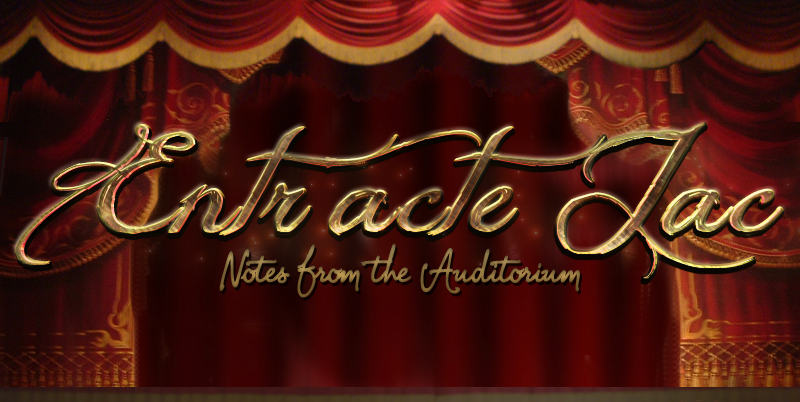 This is a high energy production with fun and frivolity running through the veins to a heart where a ditzy blonde triumphs over expectation and well worth going along to. It’s no longer at Wales Millennium Centre, but moved on to Birmingham at the New Alexandra Theatre. 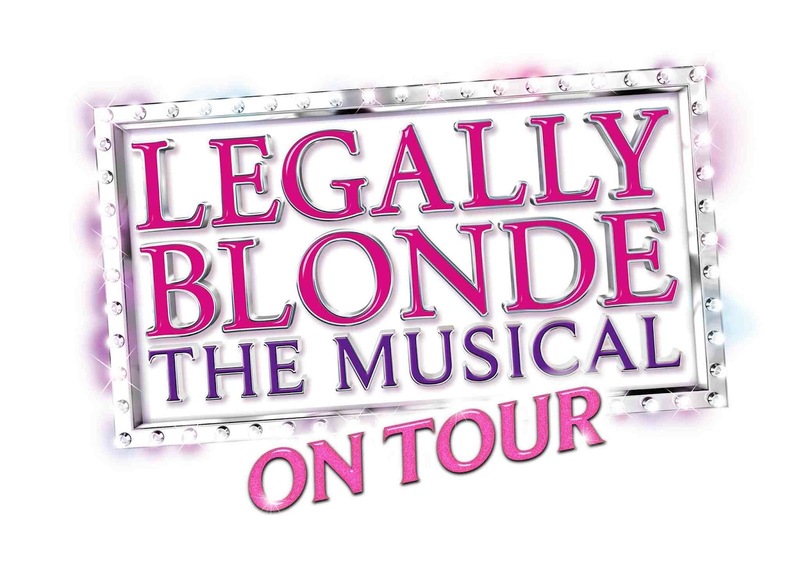 Please check out the website http://www.legallyblondethemusical.co.uk/tour/ for further information and to book tickets.